Are you in need of a pair of impact resistant mud flaps? You're in luck. Husky Liners MudDog mud flaps are 12 inches wide for maximum protection against those flying rocks and debris while driving. They are a universal fit and will fit virtually most trucks and SUVs on the road. Husky Liners MudDog mud flaps are constructed out of strong, and flexible rubber material. 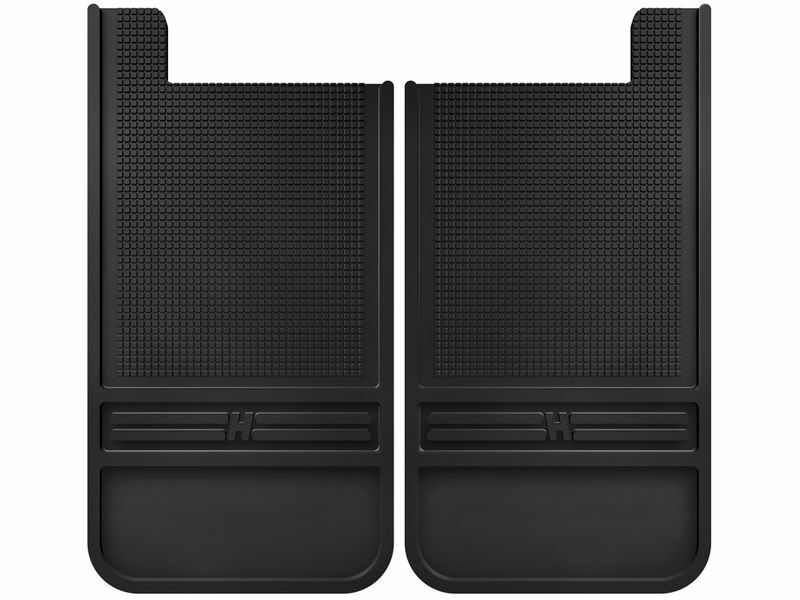 You can choose either the stainless steel weighted mud flaps or the plain matte black version. All mounting hardware is included, but some minor drilling is required. Go on and order yourself a pair of front or rear MudDog mud flaps and you won't regret it. Husky Liner is offering a limited lifetime warranty on the Husky Liners MudDog Mud Flaps. The Husky Liners MudDog mud flaps feature an easy at home installation with some minor drilling needed for most trucks & SUVs. The installation instructions are easy to understand and follow. If you have any questions or if you would like any additional information, please call us at 877-216-5446.